Maungdaw, Arakan State: The police chief of Maungdaw police station U Htay Lwin with three police officers suddenly visited the Maungdaw Juma Mosque at 4:30pm today, said Anu Meah, an elder from Maungdaw. Sittwe (Akyab): On April 29, at around 4:00pm, police from Sittwe, the capital of Arakan State arrested another student who is studying in Sittwe Degree Collage, regarding the April 26 clashes at Thet Kay Pyin village, said a close relative of the victim who denied to be named. Maungdaw, Arakan State: A Rohingya youth was seriously wounded with Dina car accident on April 21, while he was going to Bawli Bazar from his home of Maungdaw Township, said a relative on condition of anonymity. Ukhiya, Bangladesh: Ms Baroness Sayeeda Hussain Warsi, the Senior State Minister for Foreign and Commonwealth Affairs of the United Kingdom (UK) visited Kutupalong official and makeshift refugee camps on February 20, said Sayed Alam, a member of Refugee committee from makeshift camp. Maungdaw, Arakan State: Burma’s border security force (Nasaka in Burmese) arrested 18- Rohingya villager and looted goods from market on December 13-14, at night, according to a local leader who denied to be named. 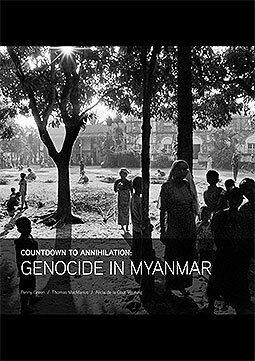 This film has been created by Restless Beings using its extensive network of sources on the ground in Myanmar, Bangladesh and Malaysia and was filmed between 16th-22nd July 2012. Until now, the mainstream media has failed to report on this issue from inside Myanmar as there are security concerns of filming there. Restless Beings has put together this film to demonstrate the type of harsh treatment the Rohingya are subjected to in Arakan state of Burma. The second objective of the film is to show the international media community that it is possible to obtain footage and report fairly without bias. WARNING: There are distressing images in the film. 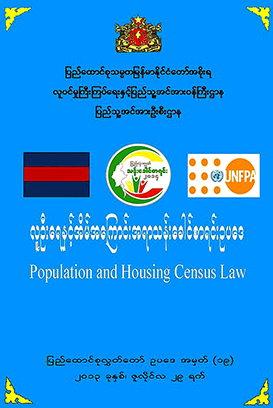 Seven villagers of Lound Don and Daybonia (Taungbro letwe) were arrested by the Nasaka personnel from Nasaka Headquarters of Kawar Bill (Kyigan Pyin) of Maungdaw Township on July 8, at about 2:00 pm while they were going to their village after finishing their religious duty at Donsay Para of Maungdaw south, according to a relative of victim.